Laurel spent much of her time indoors. She didn’t mind raising the kids and she certainly loved her work as a painter, but sometimes, she felt a little stifled. Almost like a caged bird forced to look outside and know that they’ll never be a part of that world. Some days were worse than others. 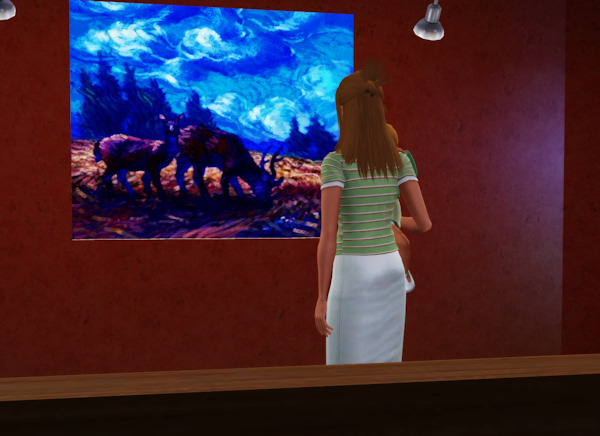 In an effort to get her mind off depressing thoughts, she took Julia down to the Art Gallery. Some of her work was shown there, something that reaffirmed Laurel’s decisions. She wasn’t just some faceless person who raised children–she had personality, hobbies, goals. She stared at the painting for a long time until Julia began to fuss. Emma went into labor almost as abruptly as she found out she was pregnant. To be honest, she hadn’t expected it to be so painful. She was a strong girl, she’d scaled walls, fought security guards and even other crooks. So, it was certainly a surprise when a few labor pains nearly brought her to her knees. Perhaps this wasn’t just some wimpy little baby. Maybe this thing had potential after all. 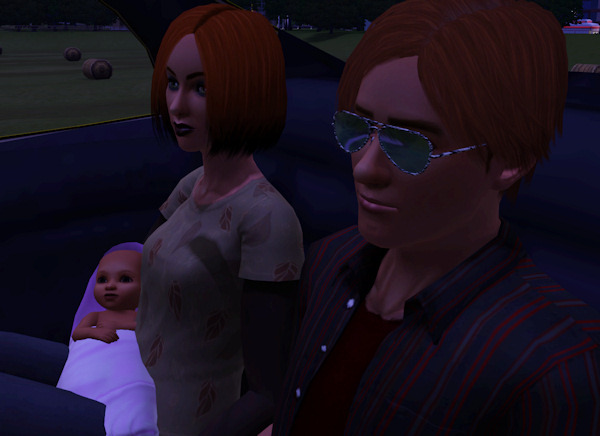 Demona Bane was born early in the am and taken home by both her parents. She wouldn’t remember her mother’s mismatched clothing or her father’s ridiculous choice in sunglasses. That was probably for the best. “Did you really need to wear those?” Emma was hardly impressed with Gavin’s idea of a ‘secret uniform’. 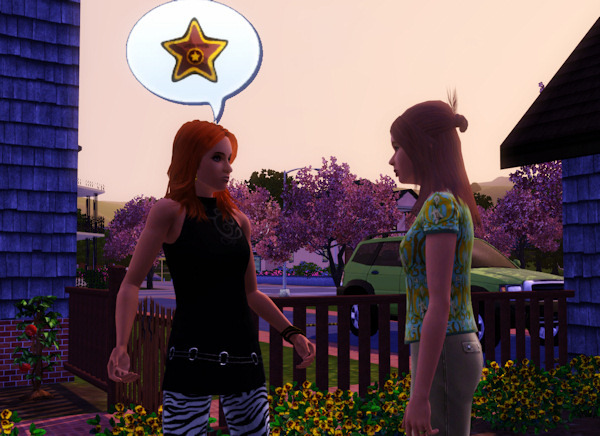 Davina approached the backyard of Brayden and Laurel’s house with trepidation. She could feel the tips of her fingers going numb as she got closer, the thrum of her heartbeat growing louder and louder against the backs of her ears. She could do this, she could do this… it had become her mantra. She had to do this, she couldn’t just… no. She had to tell her. Now. 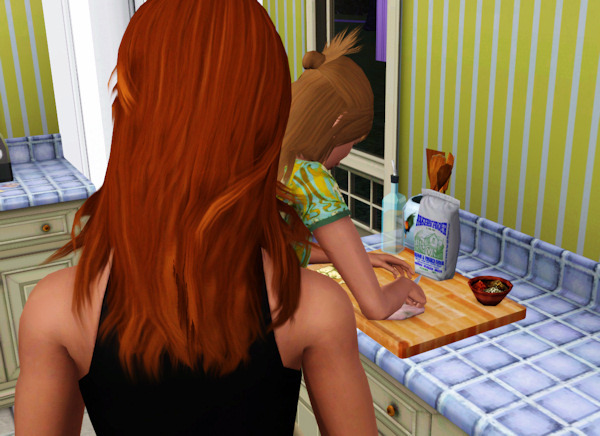 Laurel sprang up from her gardening, excited to finally see Davina. It felt like it had been so long. She wasted no time giving her a hug. Laurel was silent. She couldn’t speak. What Davina had said was still sinking in… leave. She was going to leave and not only that, not just an hour away… she was going across the country. She’d be far, far away. Laurel would never see her, possibly ever again. “Might as well be,” Laurel snapped, stomping into the house. She wasn’t getting away that easily, Davina was hot on her heels. And with that, Davina left the house, leaving Laurel to her chopping. She stopped as soon as she left the room, shoulders wracked with sobs, unable to focus on the meal at all. It was still sinking in an hour later, as they sat down to eat. It was hard not to notice the dark cloud sitting over Laurel’s head like a bright beacon. “What’s wrong? Did you and Davina get into it again? You guys fight about the silliest of things,” Brayden said, meaning it as a joke. She wouldn’t remember her mother’s mismatched clothing or her father’s ridiculous choice in sunglasses. That was probably for the best. LOL! I thought so, too. And those two just looked so ridiculous in that taxi. Ha, Demona! That’s an excellent name for Emma’s daughter! Kind of surprised Gavin went for it but I’m guessing Emma wears the pants in that relationship! And awww! Bye Davina! I have to admit that’s one event I usually turn off with Indie Stone. I’m such a sook about my Sims leaving town. I won’t have it! LOL. Gavin has his own secrets. But yes, definitely, Emma’s vote is all that matters, LOL! Davina didn’t leave because of Indie, but she did get married and knocked up. She left because I booted her, LOL! I guess I wasn’t clear in my note. I have that turned off with Awesomemod. I’m all caught up again. I love the Donovan’s, what a classic bunch. I will admit to being bias towards Emma though, she’s a hoot…I adore her. Makes me want an evil sim in my hood :). PS: You take wonderful pics, it always looks so picturesque. Makes me want to live in your simland. Hey there, Taryn! I enjoy Emma quite a bit, too. Thank you! I like it. I feel bad for Laurel but sometimes people have to march to their own tune. The Bane crew still brings the laughs for me though. Haha, thanks! Yes, I can’t wait until Demona gets older.